Zoomorphic figure resembling a flying fish from the Tolima Culture. 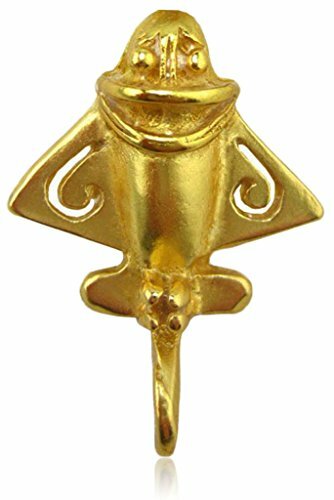 Also known as Pre-Columbian Golden Jet Ornament. The pin comes with a butterfly military clutch. If you have any questions about this product by Across The Puddle, contact us by completing and submitting the form below. If you are looking for a specif part number, please include it with your message.